The cast of “Miss Evers’ Boys” delivers a strong performance that brings to life a dark chapter in American history. 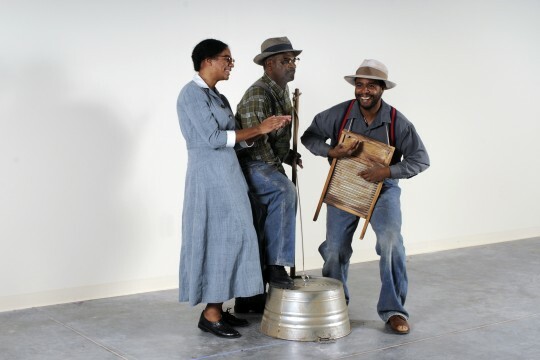 The EttaGrace Black Theater Company will be performing “Miss Evers’ Boys” at the Grand Theatre from Feb. 2, 2012 through Feb. 18, 2012. Students at Salt Lake Community College can get their first ticket for free and up to four additional tickets for $10 each. “Miss Evers’ Boys” is about the Tuskegee Experiment that allowed poor, southern black men to go through the stages of syphilis without treatment from 1932 to 1972. It shows how good people with good intentions can allow false logic to sway them into allowing the wrong thing to happen. Sean Carter plays Gillier Willie Johnson. He frames the play in the second half as his dance skills deteriorate due to his treatable syphilis infection. As the dancing becomes harder, the plays emotional effects on the audience become greater. Lonzo Liggins as Caleb Johnson provides an excellent foil to Latoya Rhodes’ Eunice Evers. The stage design gives the audience and the actors enough information to know what is going on while allowing the actors to shine in their roles. Knowing the past allows people to avoid repeating its mistakes. This play is powerful enough that the lessons will not be forgotten. For tickets, click here or call (801)957-3322.